I know it’s incredibly late seeing as how it was released ages ago but I finally watched Inception and it was AWESOME. Totally worth my Thursday night! ~ by thatchickperson on December 17, 2010. I’m glad you liked it. I haven;t seen it yet. I was disappointed in Leo’s last movie so it might take a while before I see it. LOL, nice. 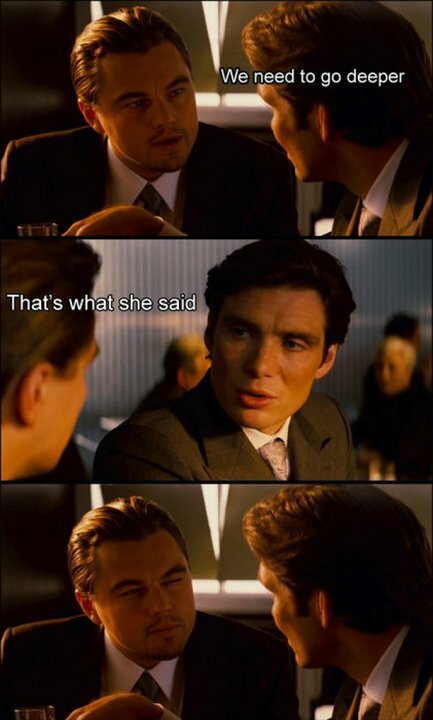 I’ve yet to watch Inception. ‘m already sold on it though, such great reviews from friends. Now I just wish someone would actually just get me the movie for christmas! Bahahahaha that is the best image I’ve ever seen!